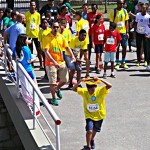 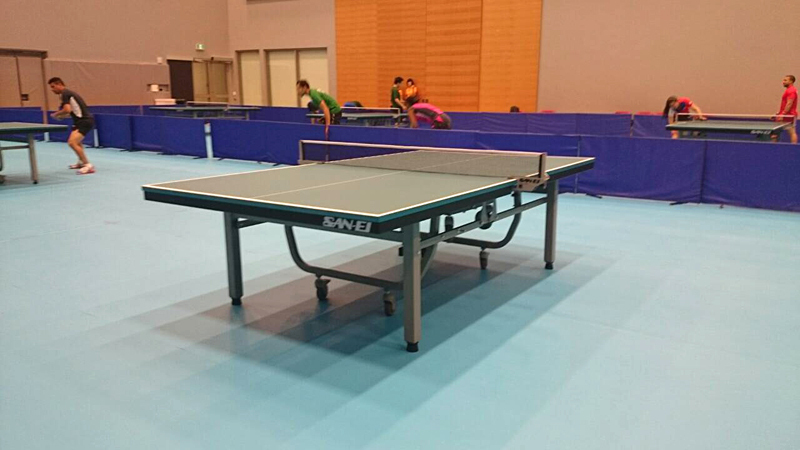 July 19 11 O’clock local time, the first game began. 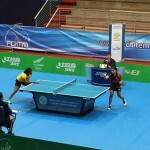 For this tournament, we supply 4 Centre Courts, 20 general table tennis table (Absolute-w Advanced), Centre Court fences etc. 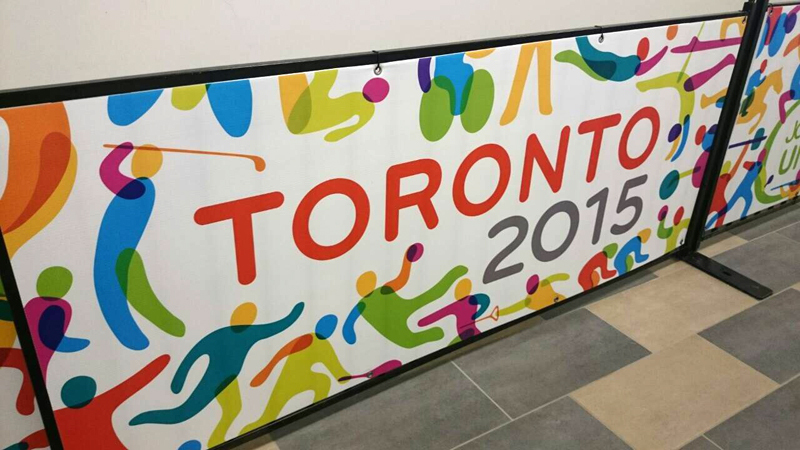 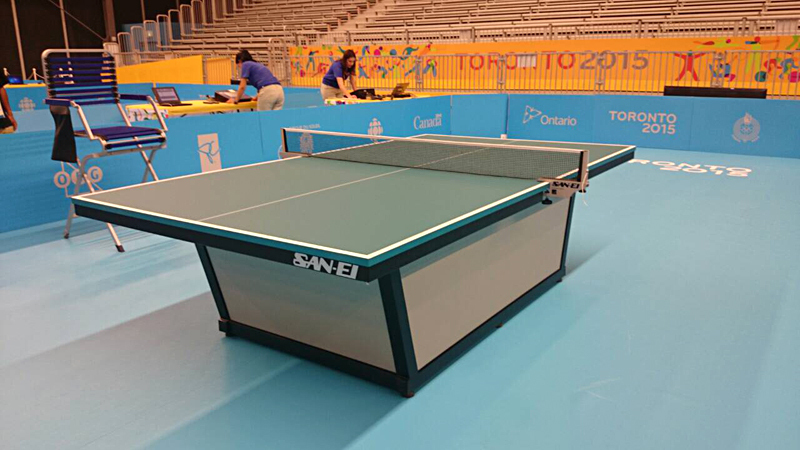 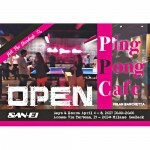 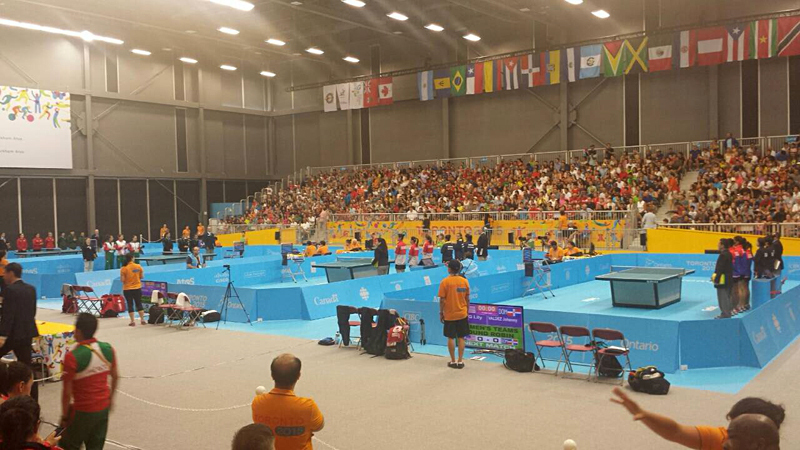 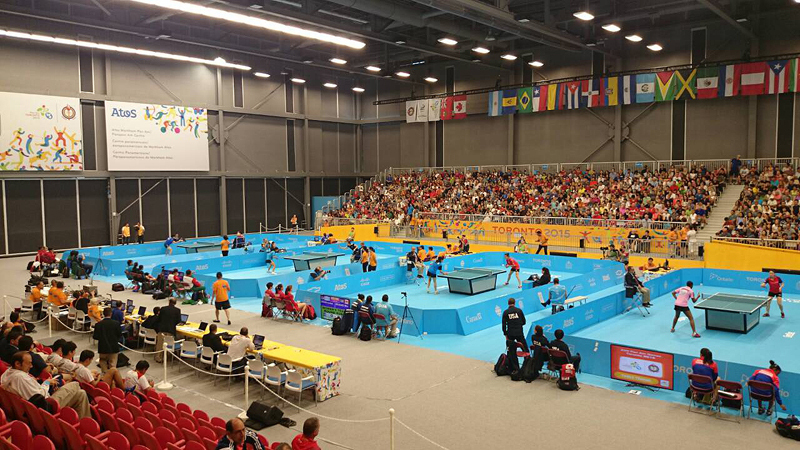 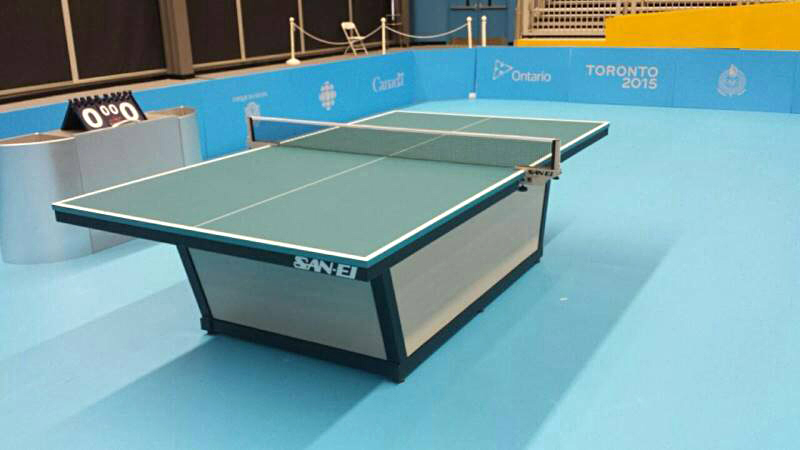 SAN-EI [Les yeux bleus] Table Tennis Table has been selected for TORONTO2015 Pan Am/Parapan Am games. 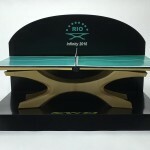 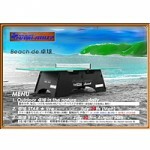 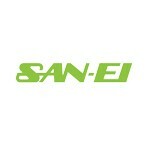 SAN-EI [Les yeux bleus] Table Tennis Table has been selected for Rio de Janeiro Olympic Game 2016.